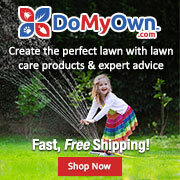 'Bugs News: "Skin Mites"/ "Collembola Mites" - Are They Real? First of all I had all the symptoms you talk about and I was a victim of a Collembola infestation in my house as confirmed by vector control of my local health dept. The specimens were taken from my clean sheets and new Pergo floor. So saying that no hexapod is involved in the crawling symptoms is not true. There is a genetically modified fungus that is infecting people which attracts the hexipods to them. If you care to investigate this we need medical professionals who care enough to do research. 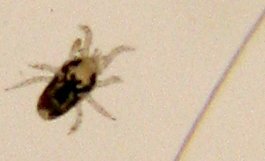 Please provide me with a name of the local health department and the vector control contact, that diagnosed a collembola that was infecting people and/or your home. And, as such, please also post the name of the genetically modified fungus that is infecting people. I am intersted in this. Thank you!! Meganj, please do provide the info and any succesful treatment you used... I have been suffering with this as well and so have my coworkers! Everyone ferociously itches their noses, face, skin under the nose, etc... everyone mentions things like "I wonder if the vents need to be cleaned", or "bad pollen season"... all try to play it off but it is obvious these behaviors of constant itching in an office and in my hbome are not normal and are definitely NOT allergies. I've had allergies my whole life and this is completely different. If I spend more than a hour or so with someone they start touching and rubbing their nose and scratching their face... it is very contagious whatever it is. I am suffering with these symptons and it is driving me mad. I have had someone in to spray the house, have spent money on new bedding, furniture, etc but to no avail. No one seems to be able to help. My clothes seems to have tiny black mites embedded in them. The lack of sleep is the most worrying aspect of this. it"will"become a searious epidemic. I have been through pestesides, exterminators and perscription medications. Nothing has stoped them and everyone me is getting them. "HELP ME PLEASE"
I think what you have is a sow bug infestation--regular woodlice or rolypolys. You think because you do not have it!!!!! But when you get it come back to this blog and tell me you have lice!!!! It is VERY REAL!!!!! May god protect you!!!! Keeping the house dry is the best preventative measure. b) there is an ample supply of something with fungal growth on it nearby. When they come into the house they will either die shortly or move on so no heroic measures are worthwhile. Since they do not eat anything other than fungus or decaying plant material, carry no disease and do not attack humans, they are at worst a minor and temporary nuisance. It should be avoided to use fungicidal, pesticidal or insecticidal treatments in the house. Such treatments kill also the natural enemies, such as spiders. After the treatment, the house will be invaded by all kinds of critters due to the abscense of these predators. I joined a gym and went from dry sauna 170 degrees to hot steam room to hot whirlpool and it helps a lot. Does not get rid of the problem but helps! It's real. 3 out of the 4 people in my house are being bitten and we can feel them and SEE them. They are extremely tiny, the size of the period at the end of this sentence. They seem to stop moving if they aren't on me but I've managed to capture a couple of them on a piece of tape. As soon as I can get a microscope (magnifying glass is not strong enough to see details) I'll be better able to tell if they are more like a mite or more like a springtail. They seem to be more active in the evening, during the night, and very early morning. We have had our home infested w tiny white things that we can see everywhere that bite us & the dogs. Its been 2 months of hell. When they touch our skin, we recieve red sores, scratches, & welts. We bought a house not knowing that a family of rats was living near our pool. Our new neighbors told us the wife had been suffering from the mites on the rats & asked us if we had any issues. Well, we were fine for a year until we had an overgrown palm trimmed. The very next week, my husband came down w what appeared to be scabies, he was diagnosed at an urgent care. Between us, weve been treated 7 times, cleaned everything including cars, animals, clothing & bagged everything. Both of us continue to get new bites & decided this weekend to close off a part of our fence where our dogs where running thru the bushes. Sure enough while we were working in an area where the rats had been, we found the same tiny white things everywhere & yes they bit us while we were working until we put gloves on. Our exterminator & efforts to erradicate this hell have cost us 2000$ so far. I cleaned out a pond across the street- in So Cal at the beach. I believe I had them for awhile, p;possibly a year and a half, not realizing they were parasites, thinking the fuzz on my face was from a chnge in hormones and the fuzz hair. My boyfriend of 22 yrs passed and became very depressed, along with a home robbery and the loss of my life's work. it's THE HAIR THAT DRIVES ME THE MOST CRAZY, LIKE IT IS ALIVE AN FINDS WAYS TO LAY THE WEB TYPE SLIME EVERYWHERE IT CAN ITS VERY VERY FINE WEB LIKE SLIME OVER THE TOP OF THE SKIN. TO DE BRIDE IT TAKES A GREAT DEAL OF EFFORT AND i HAVE NOT YET MANAGED TO GET IT ANYWHERE NEAR UNDER CONTROL. I FINALLY GOT SO DESPERATE, i USED DILUTED AMMONIA AS A FRIEND HAD TOLD ME HE HAD USED AMMONIA TO GET RID OF A SCABIES TYPE OF BODY INFESTATION. Hot baths with Epsom salts and toothpaste, yes, toothpaste all over the body, hair, and watch the slime protein flume out of your head! I spray ammonia and a spa solution every time I get up from the couch or rd;. Spray all clothing (synthetic best and cannot stick to as well) Wash all items of human touch to hot soapy water and vinegar solution strong. Oh also witch hazel and alcohol , switching off one from the other to the other worked well to keep from itching, especially alcohol drys out the monster's.